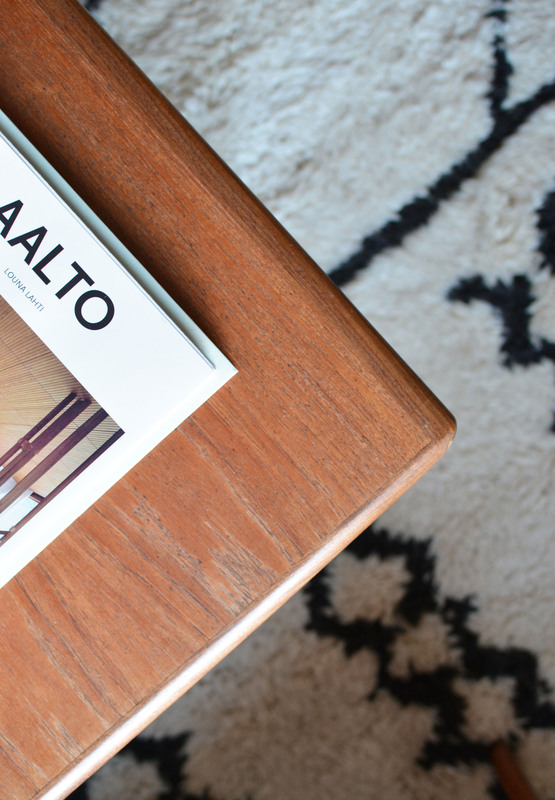 I am so excited to finally share my most recent interior project on the blog today! 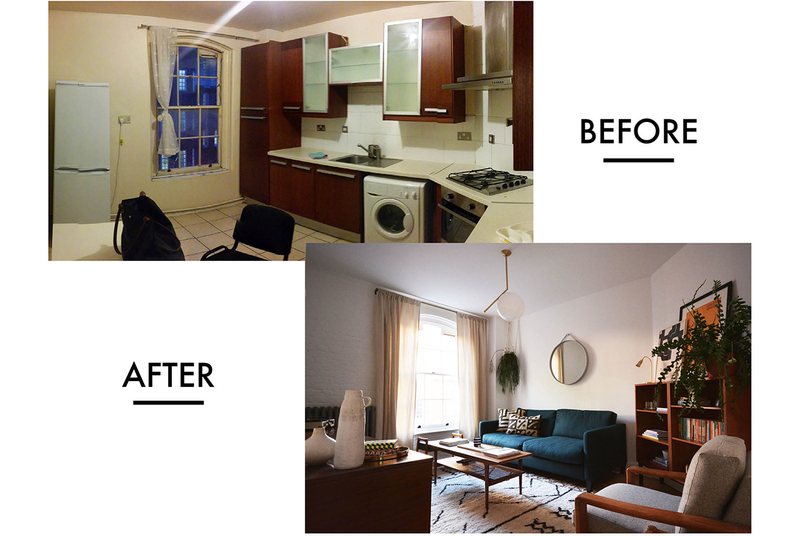 I just finished designing a four bedroom flat in Shoreditch (East London). This space was so much fun to work on because we focused on combining raw loft inspired design (exposed brick and natural reclaimed flooring) with classic style (farmhouse style kitchen and marble accents). 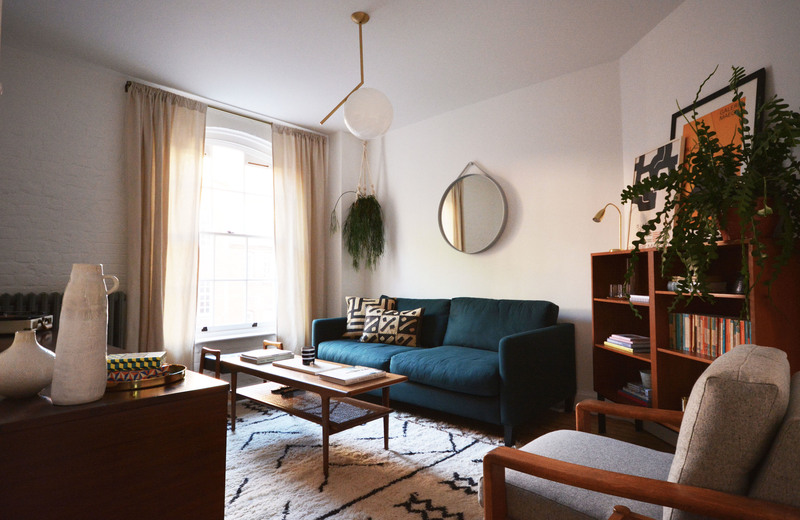 I was also working with smaller bedrooms and so I really looked at storage solutions, room layouts and amazing common space design as essential in this interior. I have to say that I really love how it all came together. Another part of this interior is the finishes that we chose. 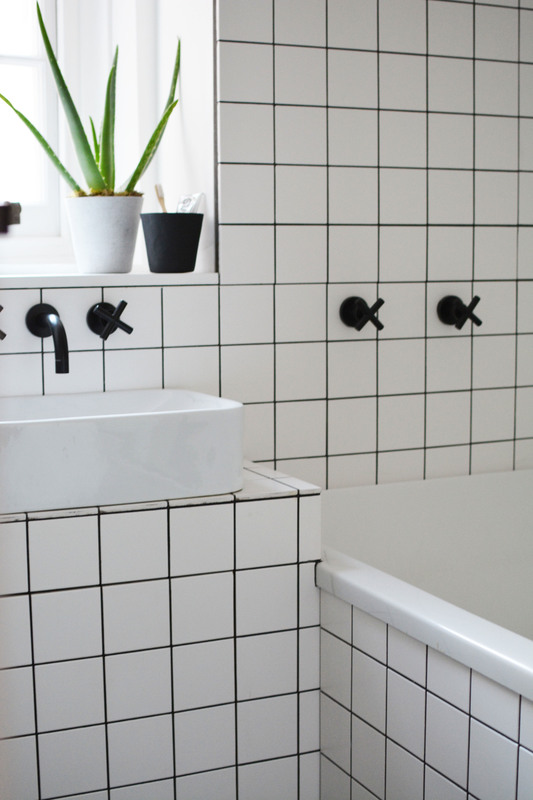 The grid style bathrooms (square tiles with black grouting) and matte black hardware were a particular favorite of mine. 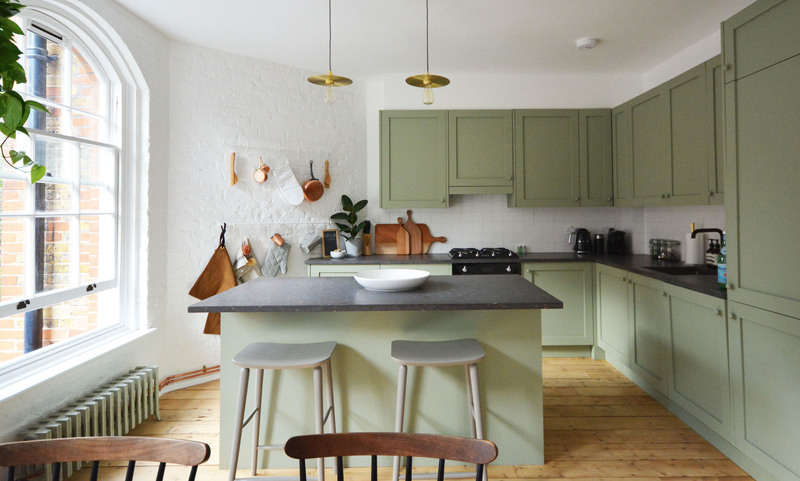 Oh and the green kitchen with brass lighting accents …. a dream. 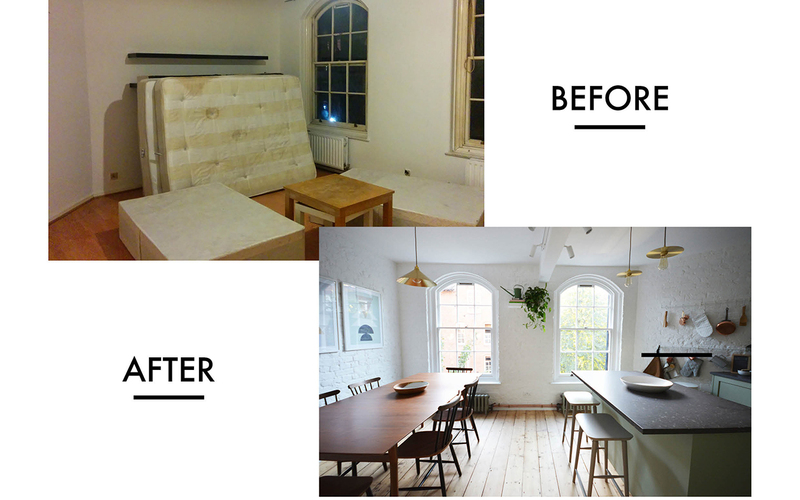 Take a look through this space and check out the before and after pictures which are pretty amazing to see the transformation. This is just part one and I will be back with the bedrooms in part 2! In the kitchen I focused on crisp colors mixed together with rustic elements such as the reclaimed wood flooring, exposed brick walls (all painted white) and the farmhouse style kitchen cabinetry. 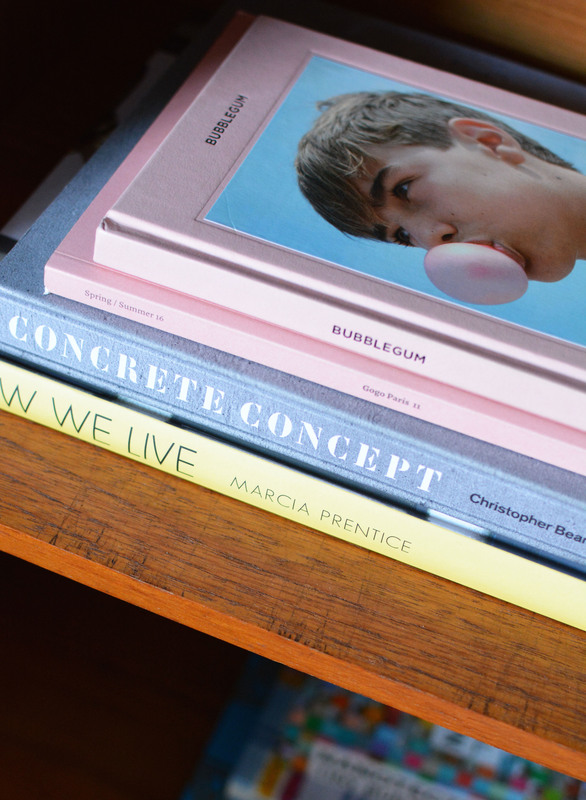 (Small floating shelf is from Ikea and check out the books here). 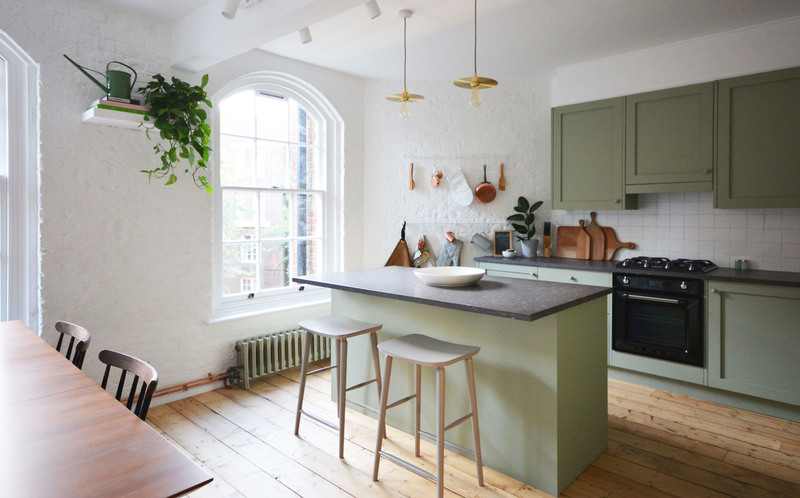 The color of the kitchen is Young Nettle by Pain By Conran, which I combined with a grey concrete styled worktop (see it here). 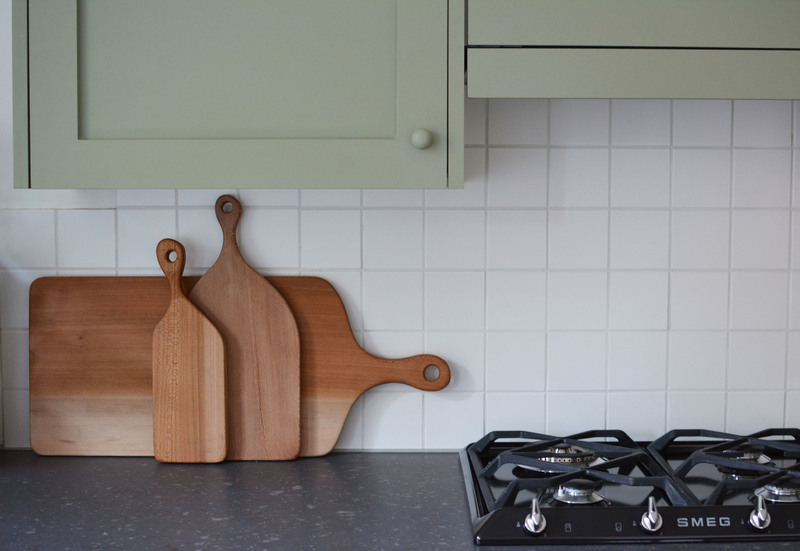 Kitchen design details include square tiling, wood cutting boards from Conran Shop and Smeg appliances. I left the dining table simple. I fell in love with this mid-century style table from West Elm and vintage dining chairs from Peanut Vendor. 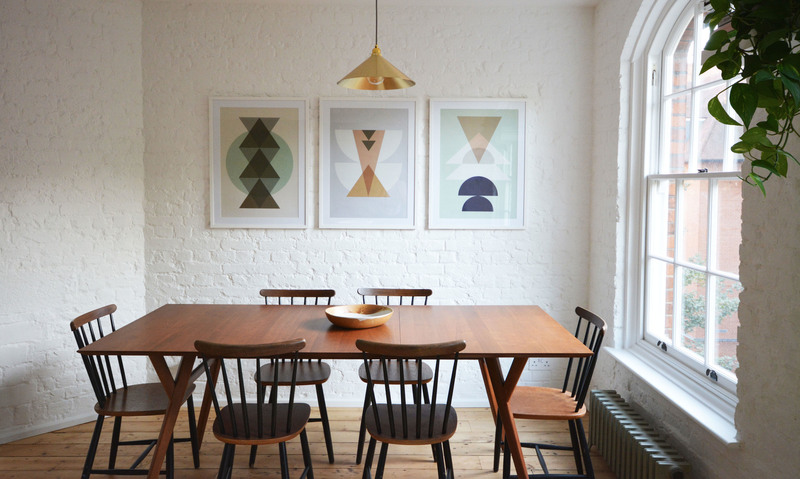 Art prints are from Ferm Living (more on them here) and brass pendant lighting from Conran Shop. These pictures are from my Instagram account. I loved to see the change in this wall! 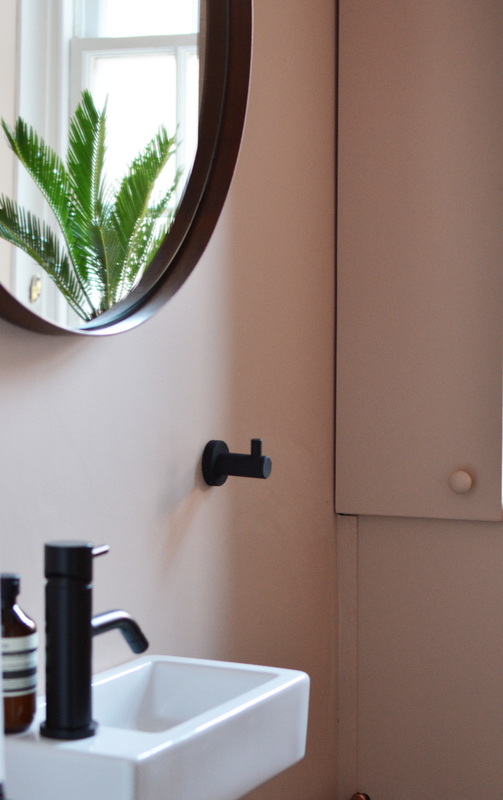 I created a kitchen pole for storage (see the DIY here). 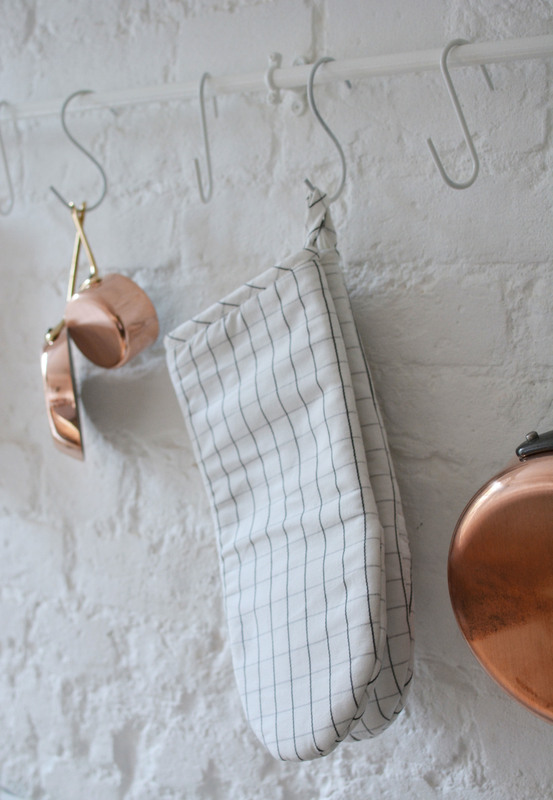 I placed all copper pots and rustic kitchen accessories on it. I love these kitchen gloves from Ikea. We made the decision for the kitchen to be the largest room in the house. 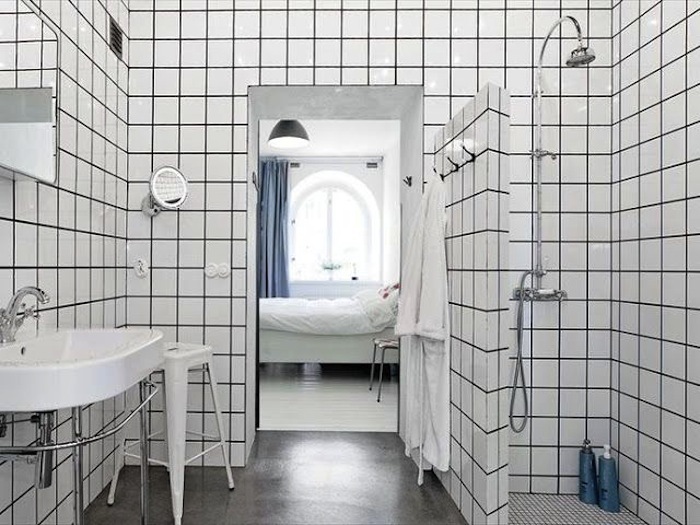 I wanted this because I firmly believe that this is the most used room in many (if not all) homes and also a place where people love to hang out, work and just spend “together” time. I am happy with the decision. 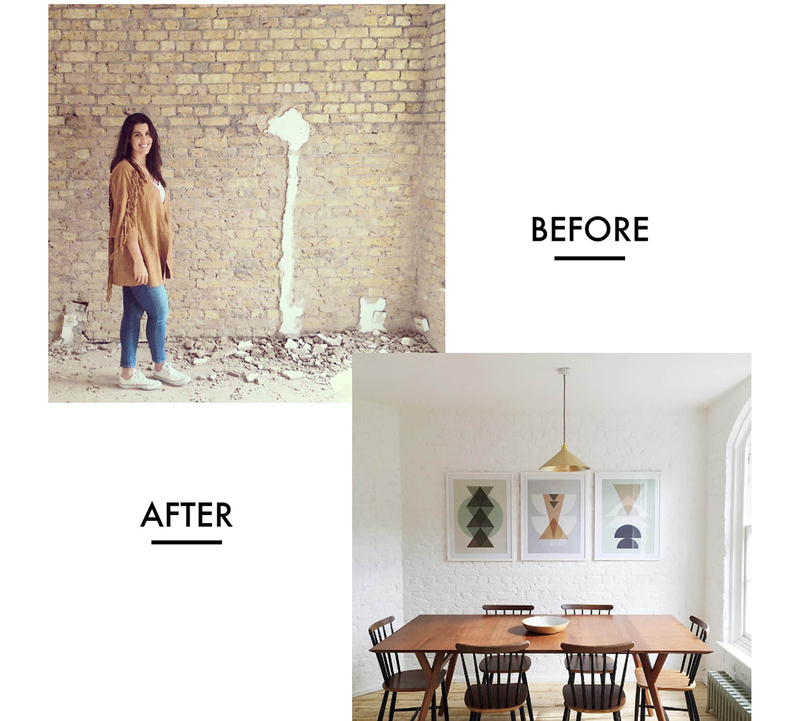 This before and after of the kitchen is pretty epic. It was originally a bedroom! 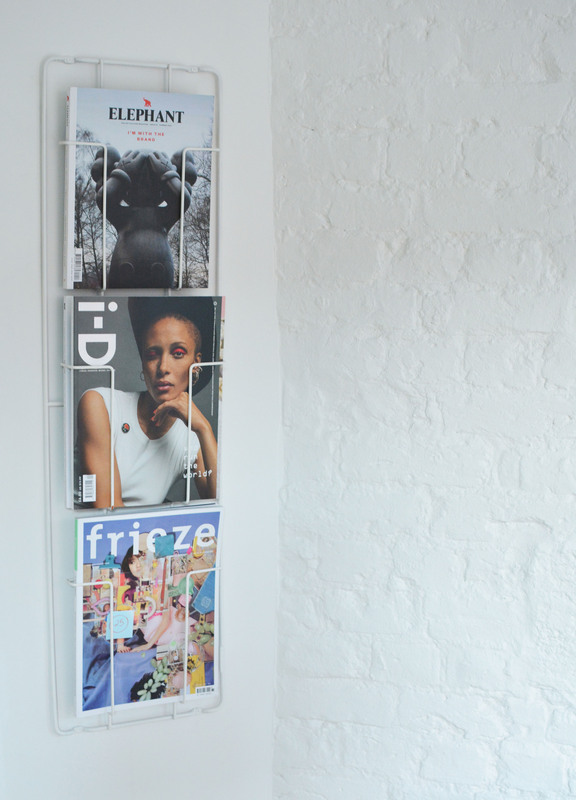 I bought this copper magazine rack from Urban Outfitters and painted it white. I decided to put it in the kitchen as a little corner piece to keep updated news and magazines. 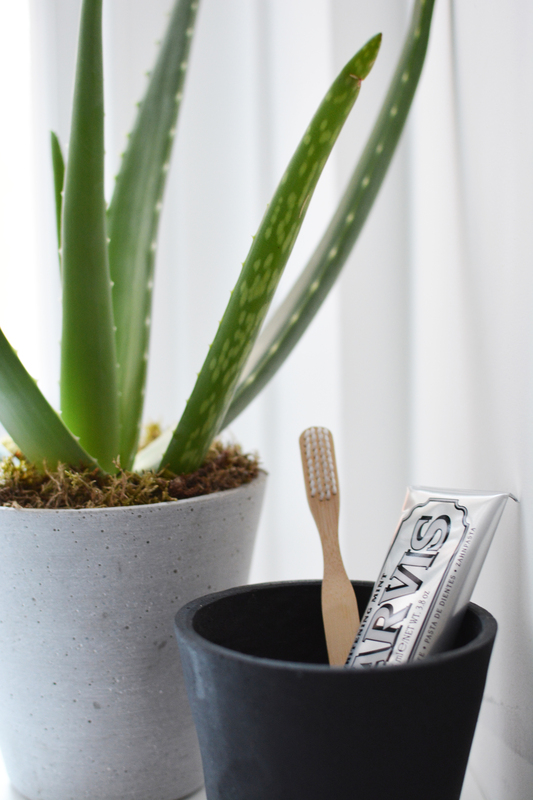 I love to have casual elements like this in the house to keep things fun! We purposely left areas of uneven exposed brick. 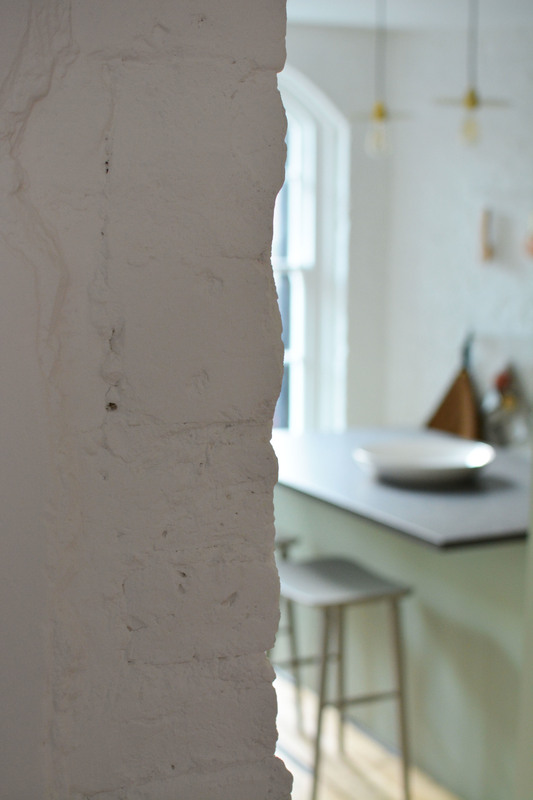 I especially love this brick around the entryway to the kitchen. 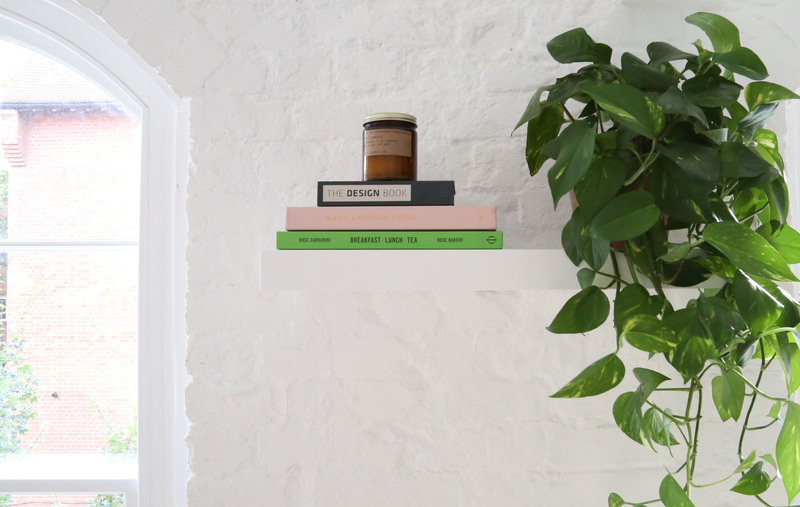 Green is an ongoing theme throughout the entire flat. I went for this dark green felt sofa from Sofa.com. I loved how it looked when combined with the neutral color tones of the space. The living room was originally the kitchen! 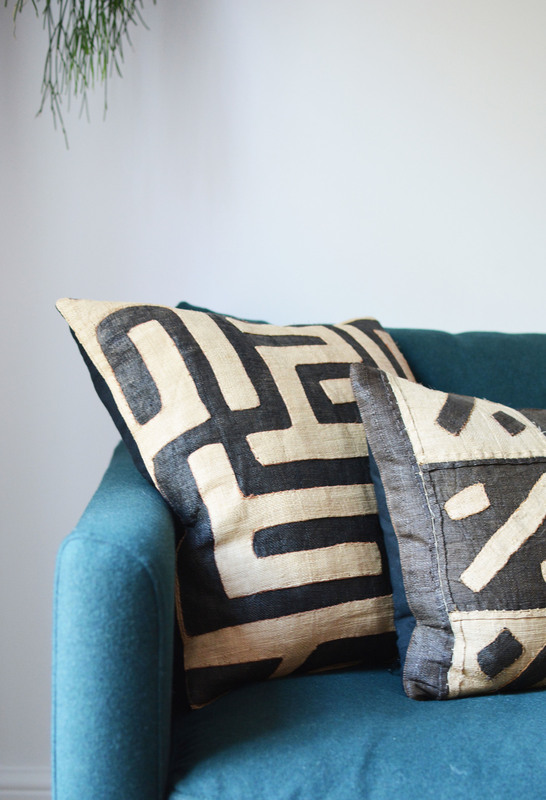 Eclectic cushions from Conran Shop. 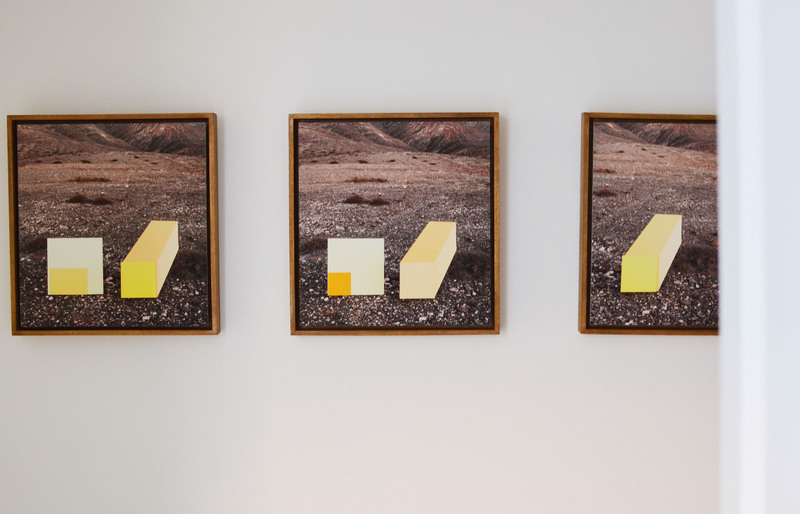 Abstract artwork that felt perfectly retro for the space. 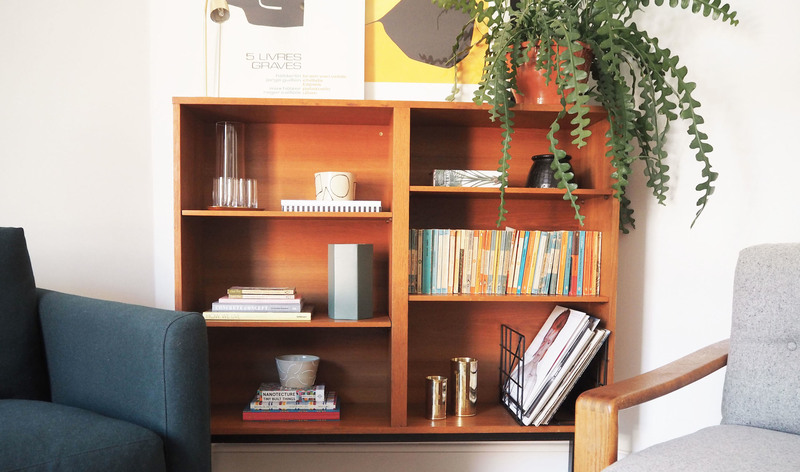 Styling the shelf consisted of mainly books, vinyl records and brass accents. 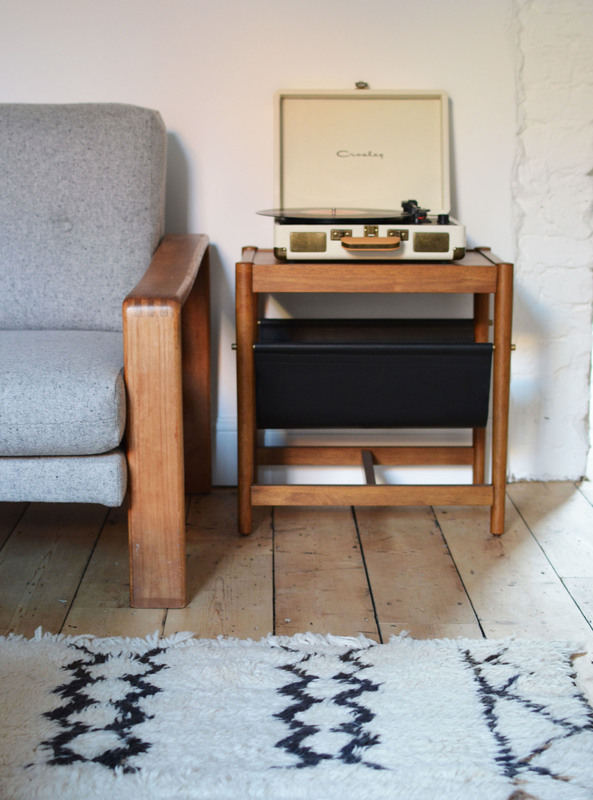 Side table from West Elm and Crosley record player from Urban Outfitters. 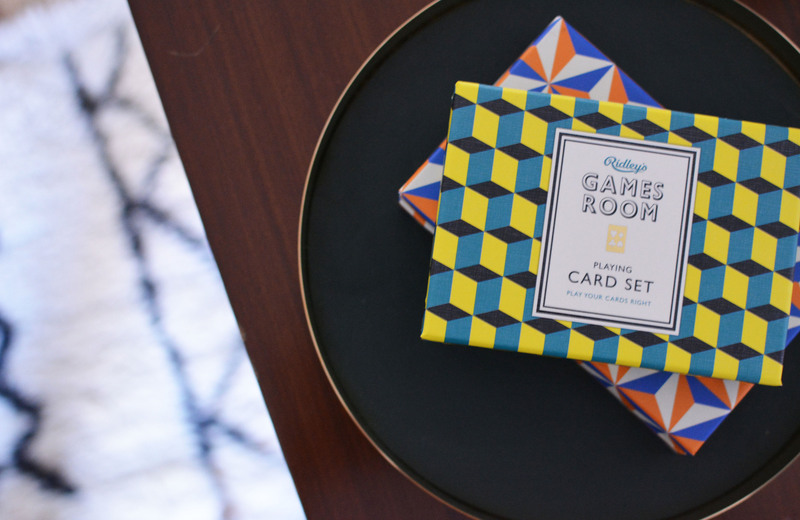 Because every home should have some board games and the design of these boxes is just too good. Find them here. 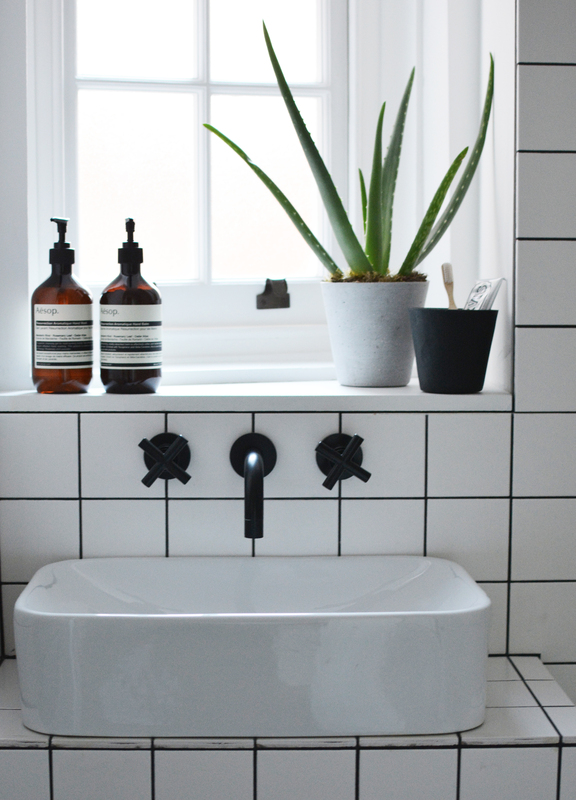 The bathrooms are some of my favorite spaces in the house! We really wanted it to be graphic yet sleek in design (check out my inspiration for this here). 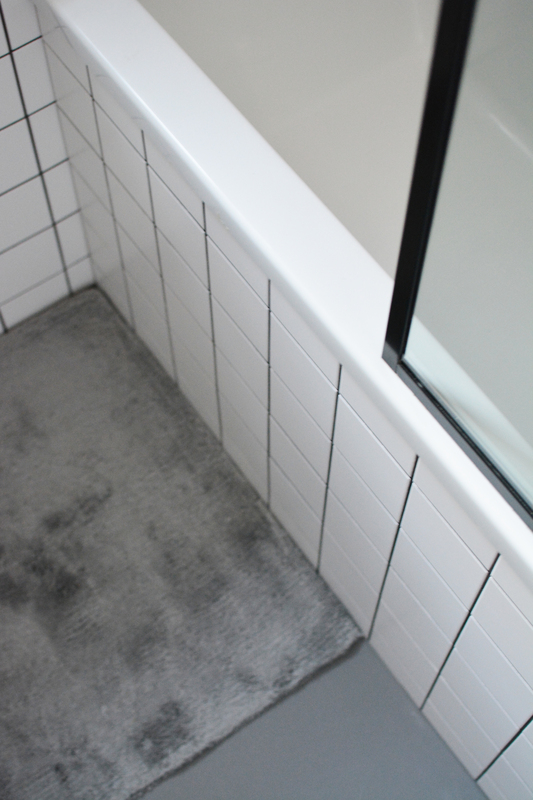 I ended up going for these simple white square tiles and used black grouting to create this very geometric feel. I combined them with matte black hardware. I love these bathrooms so much, they have a cool 80’s feel to them. We also blended in the cabinets so the tiles looked seamless. 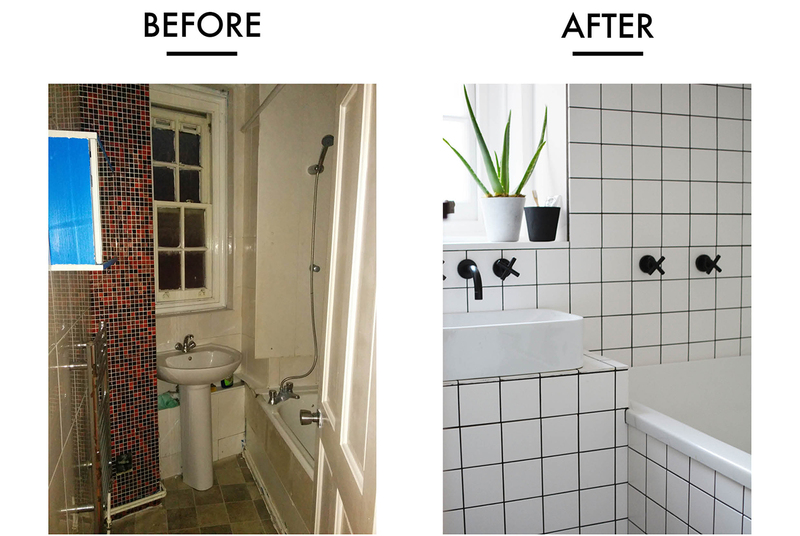 Before & after of the bathroom. 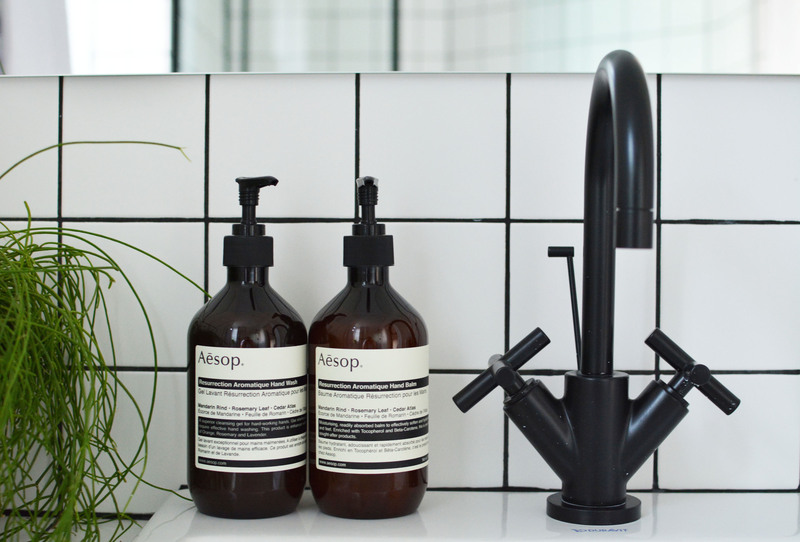 I am forever using Aesop hand soap and hand balm. There were two very small separate powder rooms in the space that we left as is. 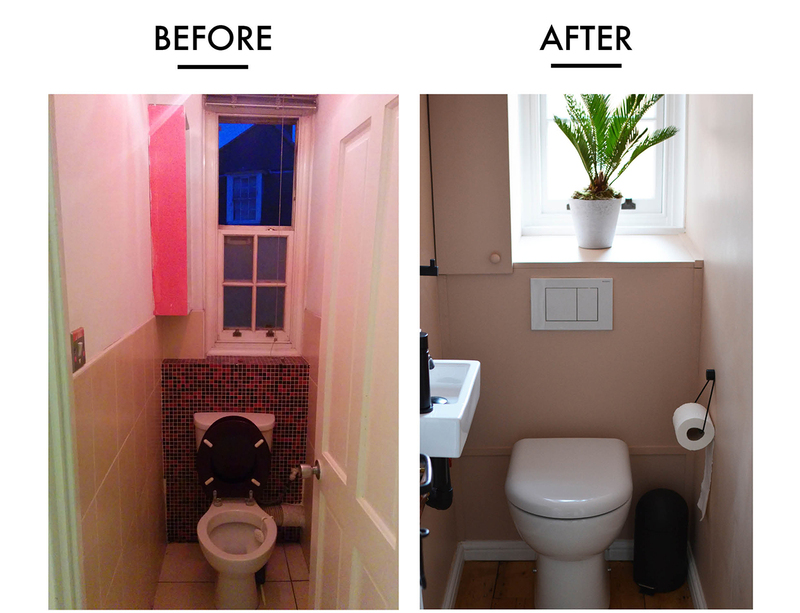 I painted these small rooms the most perfect shade of beige/pink from Farrow & Ball Calamine. I added vintage wood mirrors and greens. 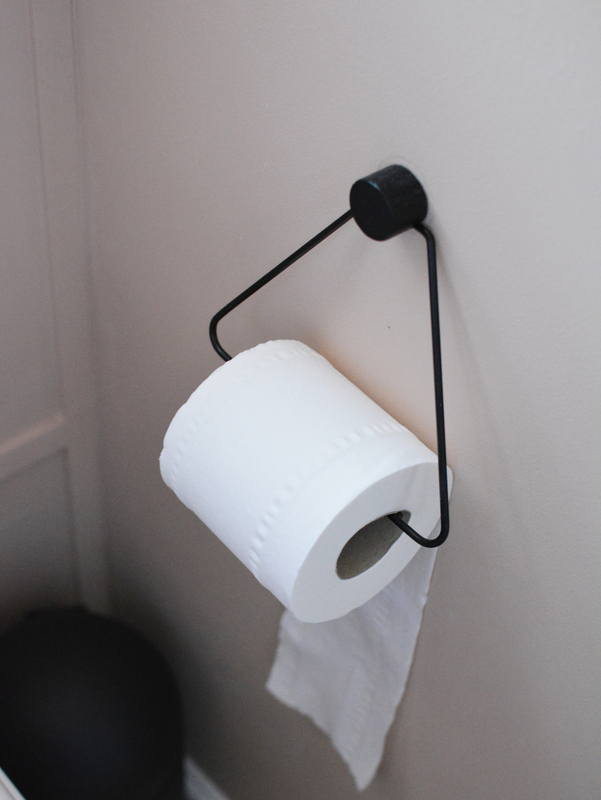 Obsessed with this toilet paper holder from Ferm Living. I hope you like the design of my latest project! Stay tuned for the part 2! Literally obsessed with this apartment 🙂 Great work Gabby!